There are many conventional and non-conventional ways by which electricity can be produced. 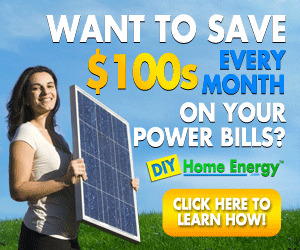 One of the conventional ways is to produce electricity by using fossil fuels. Coal-based power plants are the mostly used method to produce electricity. They are also referred to as thermal power plants. Though the energy produced by a thermal power plant is more economical as compared to non-conventional sources, it also causes greenhouse gas emission at a higher rate and hence called "dirty." On the contrary the photovoltaic system causes no harm to the environment as it uses solar energy which is also called "clean energy" but the electricity produced by it is not economical as the photovoltaic material used to produce solar cells are costly and for off sunshine period the energy needs to be stored in a storage device like battery. In this section we will discuss both the non-conventional and conventional sources for electricity generation. Hydro-based power plants use the potential energy of water to generate electricity. Water of a river is allowed to keep its level up with the help of a retaining wall or dam across the width of the river and on the other side of the wall/dam the water turbines are installed. 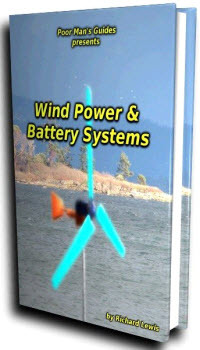 The potential energy of water is then used to run turbines and then turbines run generators and produce electricity. The electricity is then supplied to the grid from where it is distributed to its users. Pelton wheel and Francis turbines are generally used for high water heads and the Kaplan turbines can be used for low water heads. Mini hydel power stations can also be built to fulfill the electrical demand of a community living near small rivers and where water head is not enough for big hydro power plants. Hydro power plants are more eco-friendly than the thermal power plants as they produce less harm to the atmosphere but they require community relocation for those who live near the river and hence sometimes face substantial public resistance. The solar energy can be utilized either to convert the light into electricity through photovoltaic system or for heat generation. The estimated potential of the direct capture of solar energy for the above-said systems is enormous. After reflection by the atmosphere, Earth's surface receives around 3.9 x1024MJ incident solar energy per year which is almost 10,000 times more than current global energy consumption. Thus, the harvesting of less than 1% of photonic energy would serve all human energy needs (Markandya and Wilkinson, 2007). Photovoltaic systems, as discussed above, are a novel approach to the electricity generation as it uses solar energy which is freely available. Though the intermittent nature of solar radiation limits the use of this technology up to some extent, still for off sunshine periods the stored energy in a battery bank can be used. 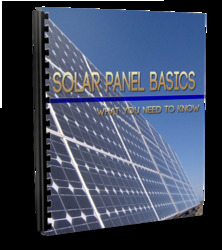 Photovoltaic systems can be used not only as stand-alone systems but also as connected to grid systems to supply continuous electricity throughout a day. The efficiency of the solar cell can range from 12-15 % typically for the silicon solar cell. However, it is as high as 25-30% for GaAs solar cells. The cost of the former is less as compared to the latter and the latter is used mostly for space applications. 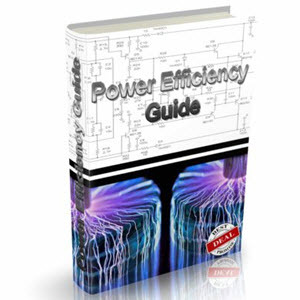 The efficiency of the photovoltaic system can also be calculated by taking the product of the efficiencies of its various components like solar cell, module, battery, etc. From a health perspective, the potential benefits of solar energy applications seem very desirable. Biomass can also be used as an alternative as it has a large stored potential of renewable energy, which can be utilized to produce power by combustion or by thermo-chemical or biochemical conversion to liquid (ethanol, methanol) or gaseous fuels (methane, hydrogen) (Sorensen, 2004). However, the inherent inefficiency of photosynthesis, which captures only a small percentage of solar energy reaching the Earth's surface, limits its usefulness as a major energy source (Miyamoto, 1997). Some high-yielding crops, for example, South American sugar cane, are already being used successfully as fuel sources mainly for transport. Bioelectricity can be an important option in supporting electricity needs particularly of rural populations in lower income countries. Furthermore, the production of electricity using biomass has some health consequences but is still well below those from coal, oil, and natural gas. Geothermal energy is limited to appropriate geographical sites or locations where the resource is present; however, there are many such sites worldwide, spread over 24 countries with an operating potential of 57 TWh/year (Bertani, 2005). Geothermal is attractive for its ability to provide base load power 24 h a day. Extraction rates for power production will always be higher than refresh rates. Reinjection helps restore the balance and significantly prolongs the life of the geothermal well. Geothermal emissions are most significantly impacted by technology choices. Waste gases are over 90% CO2 by weight (Hammons, 2004), so if directly released, emissions will be high. Some other renewable sources can be tidal, wave, and ocean thermal technologies that can produce electricity or can help reduce the electrical load of a power plant. Tidal energy utilizes the power of tide to produce electricity whereas wave energy systems use the waves formed in an ocean or sea. Oscillators are placed in the sea and they oscillate when waves come in contact with them. This oscillatory motion is utilized to generate electricity. The ocean thermal technology uses the temperature difference between the upper and the deep lower level of ocean water. This thermal difference is utilized to generate electricity. In the next section the photovoltaic systems are discussed based on their applications.